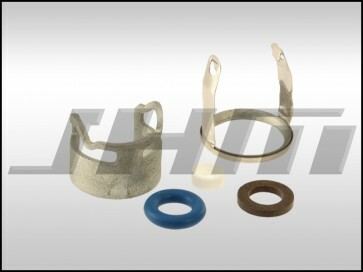 This is a brand new, OEM injector reseal kit, sometimes also called an injector repair kit. This kit includes everything you need to replace when you remove your FSI injectors from your cylinder heads. Audi recommends that this kit be installed whenever injectors are removed and replaced. 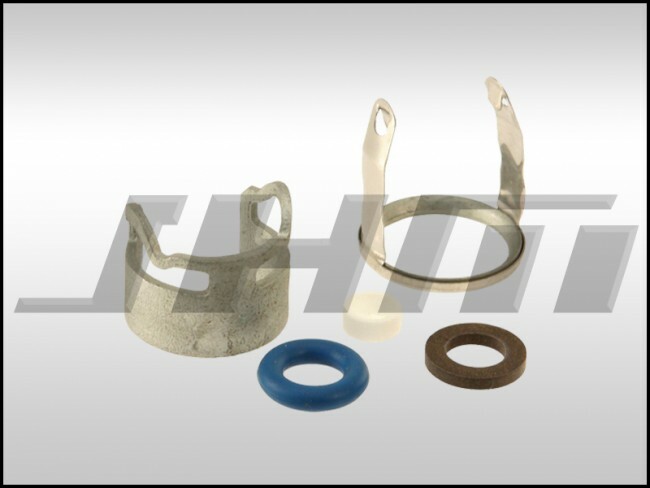 The OEM part numbers for this kit are 06E998907, 06E 998 907, 06E998907G or 06E 998 907 G.